Court proceedings were adjourned for a second time on Friday as an ex-girlfriend of Oscar Pistorius again lost her composure. Samantha Taylor broke down and cried when Pistorius's lawyer asked her how she had felt about their break-up. "I was upset," she said, before breaking into tears. The 20-year-old woman earlier told the court that she and Pistorius had separated because he had cheated on her with model and law graduate Reeva Steenkamp. Pistorius is standing trial at the High Court in Pretoria for the murder of Steenkamp. He shot her dead through a locked bathroom door at his house on Valentines Day last year. He says he mistook her for an intruder. 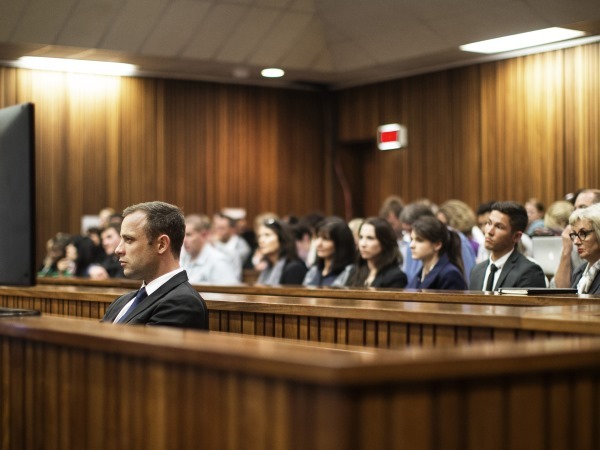 During the proceedings, prosecutor Gerrie Nel walked to Taylor and spoke briefly to her.